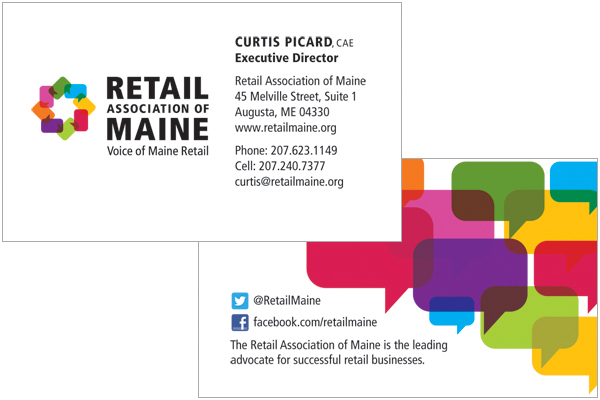 The Maine Merchants Association decided to rename themselves the Retail Association of Maine and chose to work with Visible Logic to drive the logo design. The name change is part of a comprehensive strategic re-branding plan. Visible Logic was asked to update their logo with their new name to help cement their new more modern image. This logo uses the idea of a speech bubble because they are the “Voice of Maine Retail”. The different colors represent the wide variety of members they represent, from small Mom and Pop stores to multi-national organizations. Watch the video about the branding process.